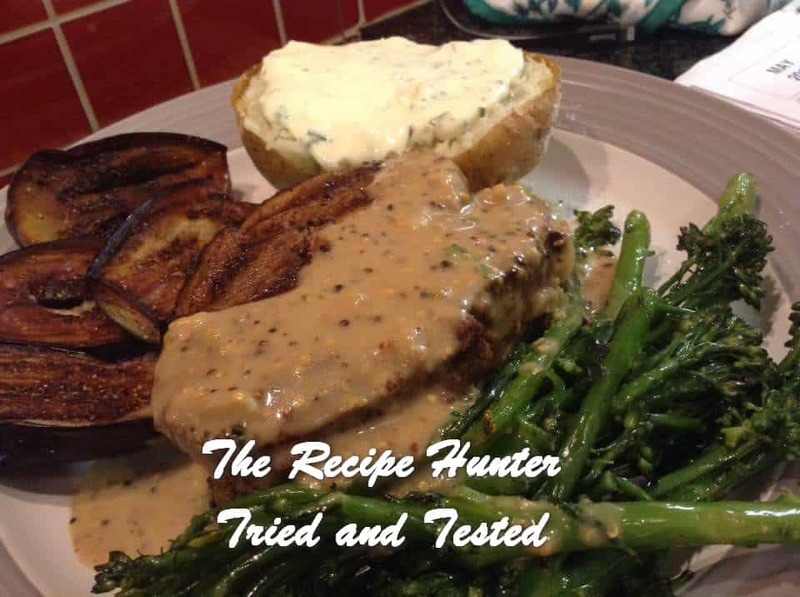 Mid-week dinner was Grilled Fillet Steak medallions with Peppercorn Sauce, baked potatoes with creme fraiche and chives, grilled baby Brinjals & steamed broccoli tenderstems 😊 😊Enjoy! Place fillet between plastic wrap and press down to flatten and even using your hands. Rub down fillet with spice rub, smear butter on both sides. Set aside to reach room temperature. Heat a grill skillet to smoking hot and grill meat for 2 mins. Turn and grill the reverse side for a further 2 mins. Remove from grill cover with tin foil and set aside to rest while you prepare the peppercorn sauce. In a saucepan add the butter used to grill fillet, add 1/2 cup beef stock bring to the boil and let reduce. Add 1 grated clove of garlic, 1 tbsp whole grain mustard, 1 tbsp Worcestershire sauce, 2 tbsp Brandy. Simmer for 2 mins. Using a whisk add 150 ml pouring cream, add 1/2 tsp ground whole peppercorns and allow to thicken. Salt to taste. Such a delicious dinner idea!